Travel lady luck seems to be teasing me of late. She whisks me away to cool locations (in this case, quite literally) then douses me with fever as if to challenge my travel nerves of steel. I stumbled from the train into the inky night at Seinajoki, battling internal hot toxins with an external measurement of 27 degrees. That’s minus 27 degrees, by the way. The Finns have long since bothered with saying the extra word. Shuffling through the snow, cross at myself for not switching into thermals on the plane, an ominous red brick factory chimney appeared. While the clanging metal and smoke of the train pulled off towards the Arctic Circle, someone held open the door. 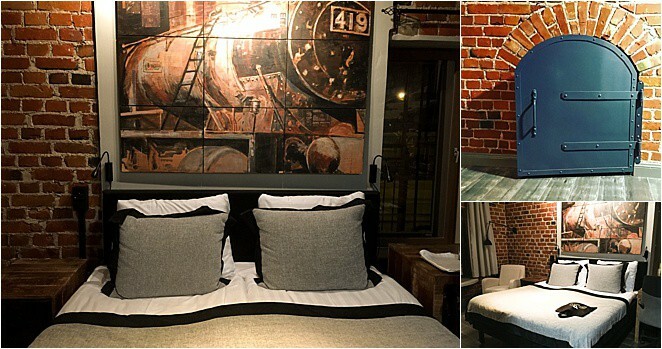 This was to be my hotel for the night, a repurposed in all the right ways conversion from a railroad workers’ Water Tower into a design hotel fit for the 21st century. 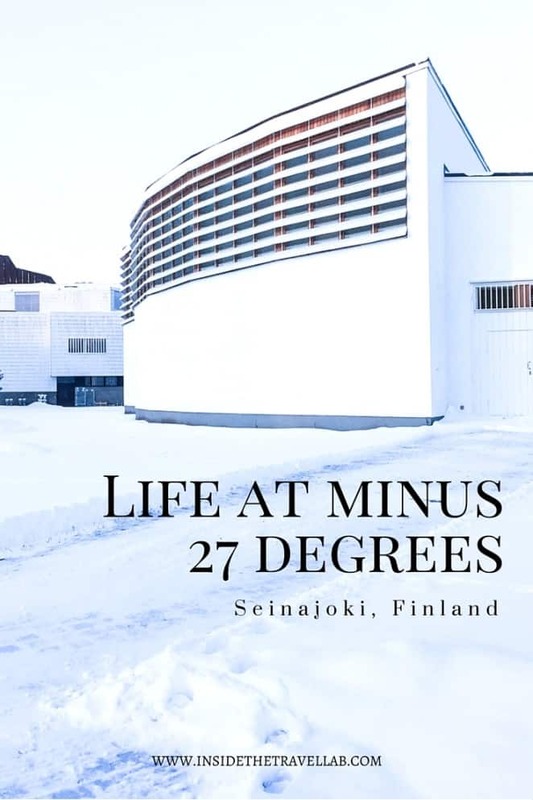 Seinajoki lies about 200 miles from Helsinki and the Baltic Sea and about the same again south of the Arctic Circle. It’s hardly an isolated wilderness but it certainly lives outside Finland’s standard tourist route. 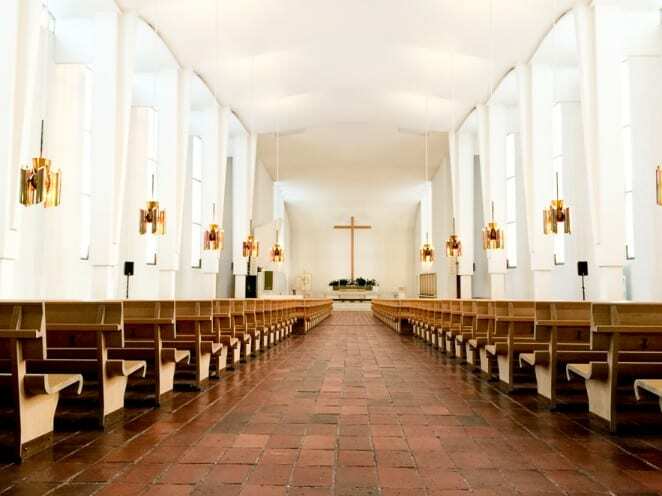 Alvar Aalto dominates both the history and the skyline, the local hero architect whose boxy, ash-white outlines dominate the largely flat and spacious modern town. 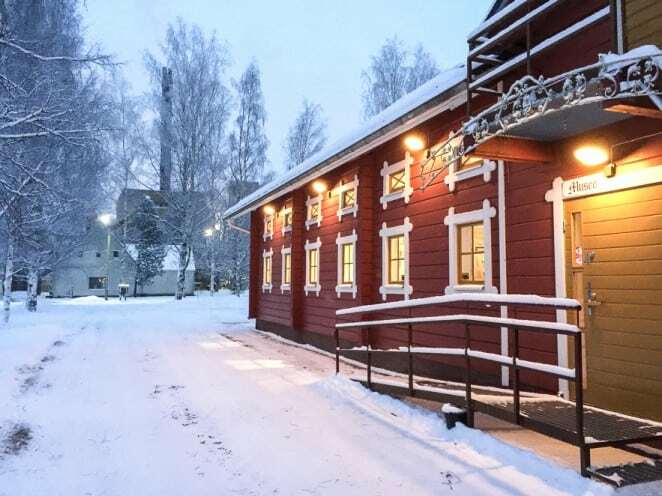 It’s a short drive to Koskenkorva, home to the biggest factory in Finland dedicated to vodka, a drink which seems to have seeped into the national consciousness as an obvious antidote to the cold. 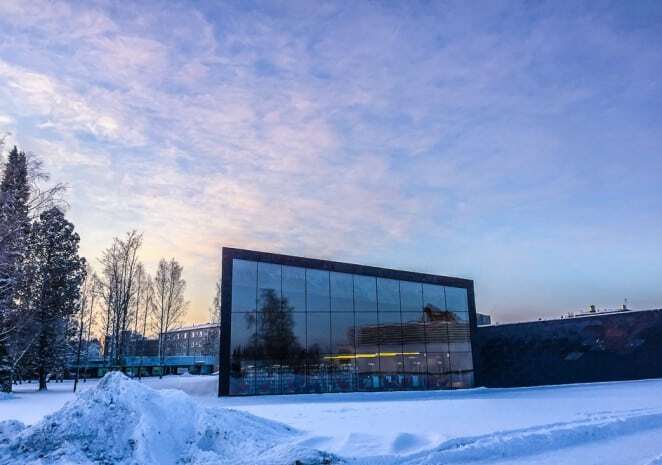 Seinajoki is proud of its Apila library, a 2012 design that lives next to the 1960s Aalto creation. The interiors brim with distinctive glassware, coloured books, pools of light and happy, absorbed children, playing amid hollow cubes and fish-studded alcoves. And while the architecture is interesting enough, for me, the chance to watch everyday life at extraordinary (for home) temperatures is all the more captivating. Toddlers wobble and bobble about like Michelin-shaped weebles in their all-in-one suits. Buildings have dedicated rooms, vast timber-scented rooms, with hooks, shelves and lockers for hats, gloves, outer jackets, trousers, snow boots and all the other padded paraphernalia that accompanies extreme cold. Battery power evaporates so mobile phones need to live close to your skin. Eyelashes freeze with tears and water-based moisturisers freeze your skin along with them. The Finns excel in layer know-how: thin yet warm fibres, outer shells and, critically, thermals you’d be happy enough to be photographed in. And so it is that I, dressed in rather less flattering thermals, find myself one feverish morning, sat in an art gallery, learning about yoga. 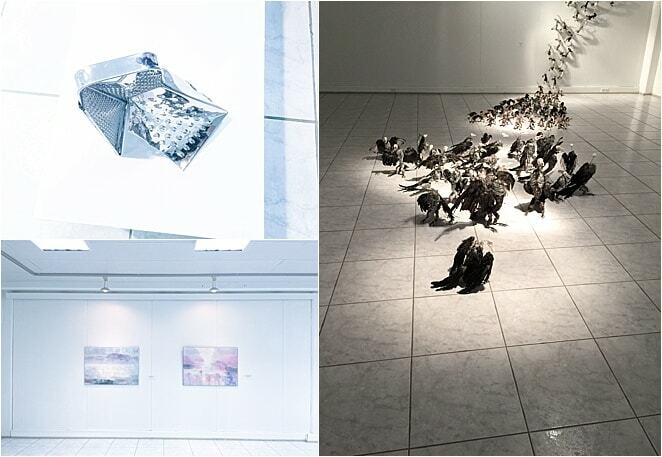 The gallery, the Seinajoki Art Hall or Taidehalli, is local, drawing crowds from design-conscious Helsinki. The yoga, of course, is not, though the leader has chosen to make Seinajoki his home. It’s a first for this gallery and it strikes me as a great idea to spend more time amid the art and see it in new ways. In less lofty thoughts, I’m thankful that it’s not too strenuous (nor upside down) given the feverish feel of my health. After enough time tapping my head and rubbing my navel, it’s time to suit up again for our scenic walk through the natural freezer. By nightfall, I get my first glimpse into another key Finnish tradition: the sauna. Like cold soup in Andalucia, the idea of sauna (pronounced sah-OOO-na ) makes perfect sense when discovered in its own land. How else can you survive days spent living in temperatures worse than a swim off the shores of Britain on a frosty New Year’s day? It’s peaceful. Quiet. Soothing. Everything that a sauna should be. But it’s also disarmingly hot and with the fever already springing black spots before my eyes, I’m forced to apologise and bow out. The others wrap vodka-soaked bandages around the legs for another healing sauna while I lie face down in another sweet-timbered room. Luckily, such a breach in etiquette doesn’t exclude me entirely. 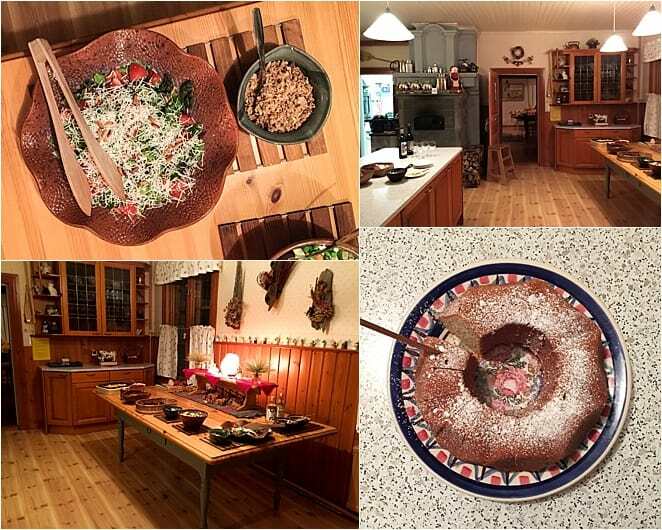 I’m still invited to dinner in the next door farmhouse where a traditional feast awaits. Sour cheese leipajuusto soup with raisins. Herrings marinated in gin, cabbage marinated in beer. A bottle of vodka hidden in a sweet, unassuming red doll. Back in my chimney-stack room, I notice something I missed the night before. My room comes with its own little sauna: wooden slats, ladle and fresh-scented heater just for one. Illness may have thwarted my attempted sauna in Seinajoki. But with nine days left in Finland, I suspect there is more to come. Disclosure – I travelled to Finland to give a keynote address at the Nordic Bloggers Experience held at MATKA, Helsinki. I travelled to Seinajoki and around as a guest of Southern Ostrobothnia as part of this experience. As ever, all words, opinions, fevers, chills and all the rest of it remain my own. Otherwise what’s the point? It looks cold! But the sauna sounds great. I lived in Alberta, Canada, for the first 40 years of my life where it would go to minus 40 sometimes in the winter so I should be able to handle this. But somehow I don´t think I could. Can´t wait to read more. Pffff. Yes, minus 40 is another thing altogether. I think I’ve been in it for less than an hour at a time and managed to lose some of the skin from my nose! I’m sure you’d be fine after that! Fascinating Abi, I’m yet to go somewhere this cold. I had a nice little chuckle envisioning toddles wobbling and bobbling too. It’s also interesting watching the near heroic routine to get young children dressed and undressed going in and out of buildings. Never mind losing the odd glove, how do they keep track of all those clothes at playschool?! So fun to read about your journey here at my home town! And those freezing cold temperatures were just a matter of week or two, so you were “lucky” to travel here at that time ;)… Just one thing, this Apila library is our new library, built in 2012 and designed by JKMM Architects. 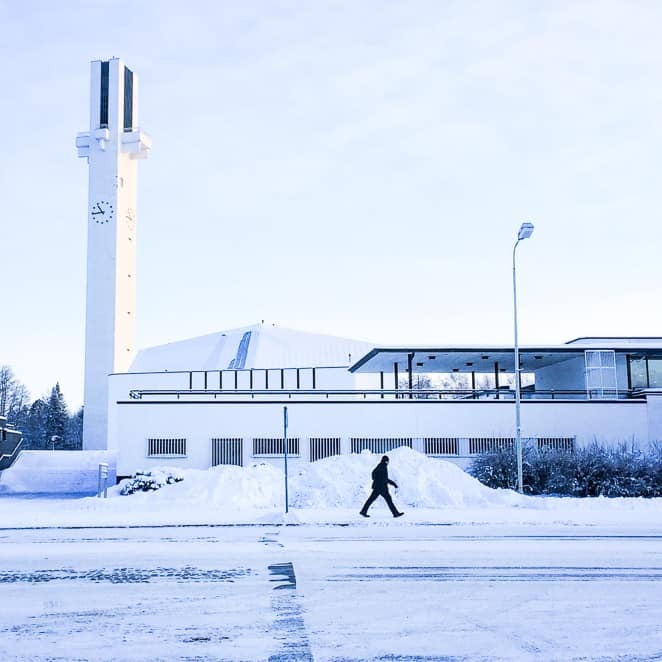 Apila is situated right next to the older library which is designed by Alvar Aalto (built 1965). Ah, thanks so much for the clarification! My mistake – I knew there was an older and newer component but thought they were all part of the same name complex (probably because we walked from one to another indoors, as I recall, because of the cold! Unless I’ve blurred my memory on that one. In which case, I’ll also blame the cold ;-) ) Thanks again – I’ll update it now.